What is a Muslim Pro account? A Muslim Pro account is also needed for users to post Dua on the Community feature. For Premium users, a Muslim Pro account is needed to tie in your Premium purchase. Users will have to be logged in with the same Muslim Pro account to enjoy your Premium version across your Android or/and iPhone devices. You can connect a maximum of 5 devices at a time with the same Muslim Pro account. 1. On the Home Page, click on the Gear icon on the top right hand corner of the Home Page. 2.If you are not signed in or have not create a Muslim Pro account, it will says "Signup or Login", click on it and Signup a new Muslim Pro account or Login with existing Muslim Pro account. 3. But if you are currently signed in it will says "My Account". Click on it to view your "My Account" Page. 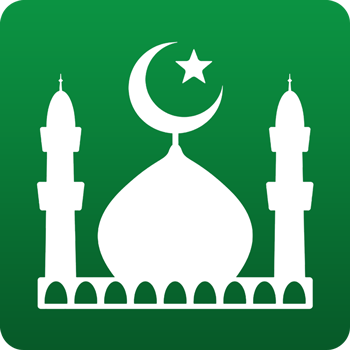 Users can connect a maximum of 5 devices at a time with the same Muslim Pro account. If you wish to remove a device from being linked to the Muslim Pro account, click on the "minus red" button on your "My Account" Page. Users can also link other alternative log-in methods to your Muslim Pro account. Follow the steps below to link other accounts to your current Muslim Pro account. 1. Log in with your main Muslim Pro account log in information. For Premium users, it is important to log in with the Muslim Pro account that you used to tie in your Premium purchase. 2a. Once logged in, on the "My Account" Page click on the accounts that you will like to "Link" from the options available. Once it is successfully linked you will see a tick button and the word "Linked" on the account. 2b. Users can also choose to unlink any log-in methods after they have linked the account by clicking the "Linked" button again. However, users can only link email or mobile number that has not been registered in the system before. If you try to link an existing email or mobile number that has been registered before, you will received a prompt message "This credential is already associated with a different user account." If you will like to link the preferred email or phone number, Muslim Pro will have to delete the existing email or phone number in the system first so you can link it again as a fresh new account. At the moment, users are not able to delete Muslim Pro accounts from the app. Kindly contact us at payments@muslimpro.com to delete Muslim Pro accounts in the system. Legacy Premium users who purchased the app before the new version will not be affected by the new Premium subscription plans or the new Lifetime Premium price - you do not need to pay again. To find out more on how to restore your Lifetime Premium purchase, read this article: I'm already a Lifetime Premium on my phone before the new version. Do I need to pay again after this new update? How does the Premium Subscription Plan works?